To all the firms eagerly waiting for Hoowla to handle your accounts, we are pleased to announce that your wait is over. 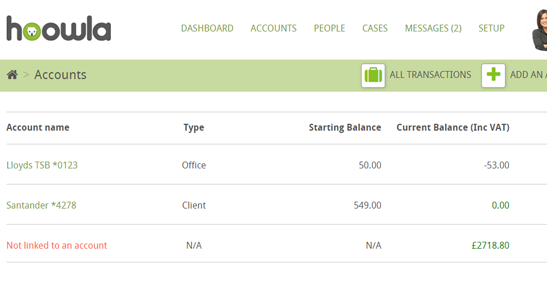 Read on to find out how our comprehensive accounts functionality lets you manage your finances and invoicing. 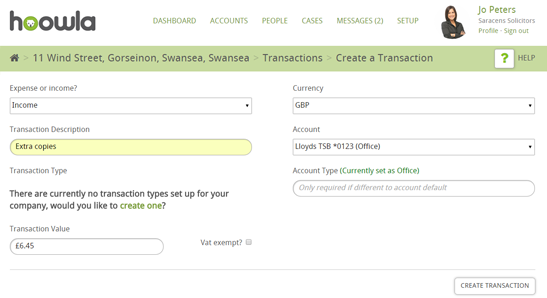 Log in and take a look at your new accounts area and get in touch if you’d like a demo on 01792 687146. Manage as many bank accounts as you like. Most importantly, separate out your client and office accounts and search and filter transactions by account. Accounts can be exported in a single click to be analysed and managed in spread sheets or imported into your firms accounting software. 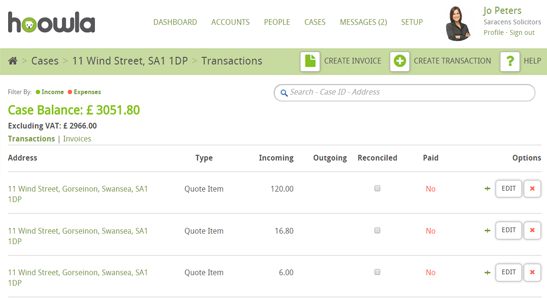 Invoicing is now powered by the transactions in your account. 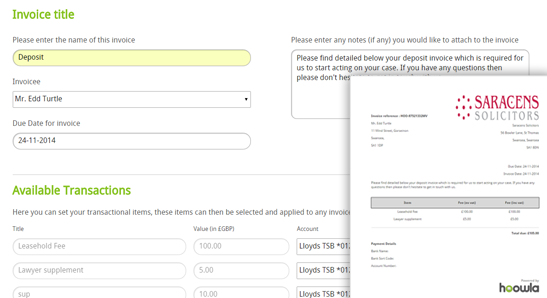 Create invoices from your case transactions and easily customise then print, email and share them with your clients. 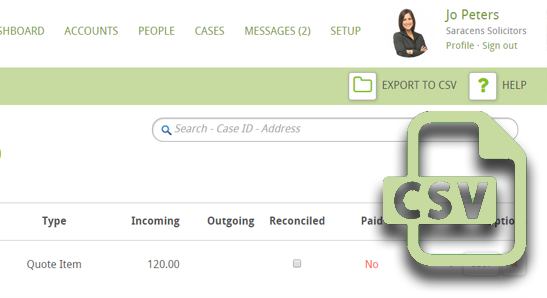 Record incoming and outgoing money, assign to client or office accounts, attach transactions to invoices and mark as paid with manual bank reconciliation. Conveyancing estimates created in Hoowla can be pulled through into your case as transactions and invoiced to your clients in seconds. 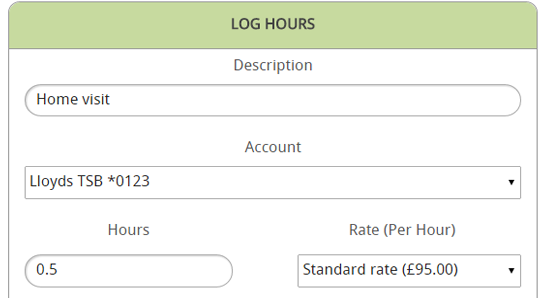 Set your own work rates and easily log billable hours against cases for when you charge for your time. Store multiple rates and charge time to any account. Previous post DVLA puts faith in Swansea TechHub, home to some of the most talented software developers in the world and where Hoowla HQ is based Next post Hoowla Compared To Veyo – Which Conveyancing Software Is Right For You?